Working smarter, not harder is a phrase many people hear throughout their career. It often conjures the image of a high-level executive and touches on an individual’s emotional and intellectual desire to have it all. But even the phrase does not tell anyone how to work smarter and not harder. Working smarter is different for every person and depends upon their unique personal mission statement. According to experts, following are the few general rules that can be used to figure out your strengths. This helps to build a network around you in order to reach your goals in the quickest possible ways. When it comes to working smarter, you need to take more breaks. It is because a human brain can stay focused for an average 90 minutes and then requires at least 15 minutes for rest. Therefore taking breaks after every 90 minutes will allow your mind and body to reenergize and refresh. For some people, 15 to 20 minutes of break during their work might be hard to pull off but you can take shorter breaks throughout your day to refresh your mind and reset you attention span. Naps are considered the best way to sharpen your memory performance. Research has shown that taking naps leads to improve the cognitive function which helps you to absorb the information and retain it. It happens because naps help to solidify memories and are useful in avoiding burnout. Research has proved that people feel more relaxed when they are walking in a park instead of streets. Unlike the busy streets, parks and open places are filled with inspiration that captures attention requiring direct attention making you less restorative. Working smarter means getting your tasks and projects completed in an intelligent way. If you have bigger projects then break them down into smaller tasks. Then plan on getting them completed throughout your day and every task must have a clear finishing point at the end. This will help you get things done faster than usual. 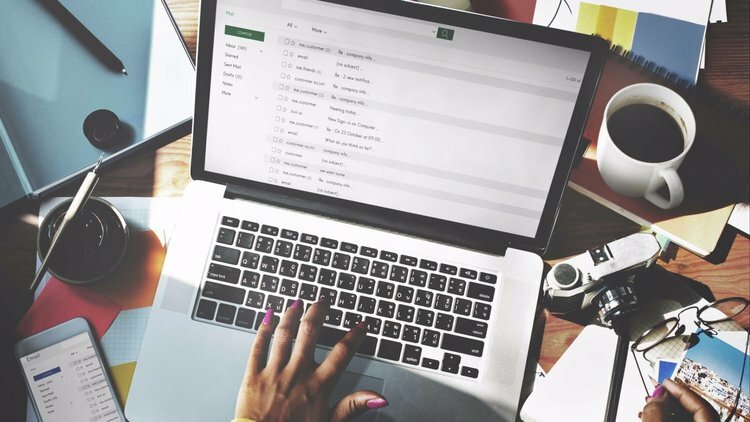 Checking your email is very important but it is also the largest productivity killer that often leads people to work harder not smarter. Make it a ritual to check your email first thing in the morning and then do not touch it again. You need to check where your team has been when you were asleep and on what page you need to be in order to stay with them.